Deliver results with digital anytime, anywhere. According to our study on buying behavior, 45% of scientific buyers cited internet searches and online journals as a way of learning about new products or technologies. 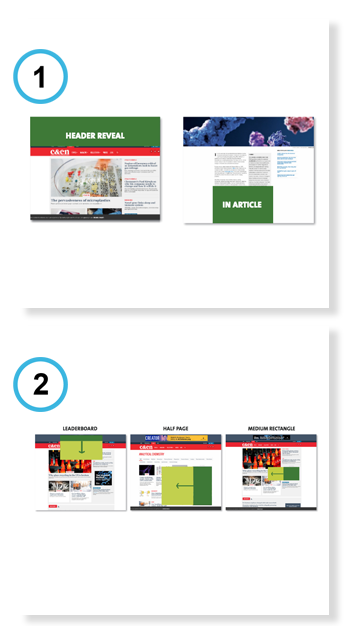 Our suite of online publications attracts more industry researchers and scientists than any other online chemistry publication in the world – over 27 million researchers each year. C&EN’s diverse digital options give you the ability to target any segment you choose and track the results. With an average of over 304,000 unique visitors each month on C&EN, and over 2.5 million unique visitors on ACS Publications, our suite of online publications attracts more industry researchers and scientists than any other online chemistry publication in the world. Tap into the buying power of our audience. What's the Right Way to Go Digital? C&EN offers high-visibility leaderboard and skyscraper ads for a more interactive approach. 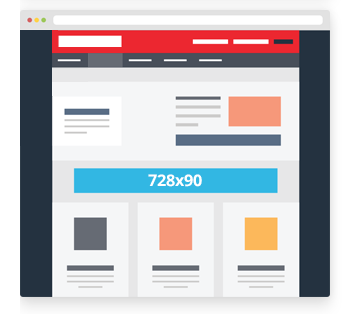 Native display units promote your content with artful imagery, well-written headlines that lead to a landing page on your site that is relevant and prompts user to complete an action. True native ad units provide the complete authentic native experience. Ad units are designed to match the look and feel of our editorial content, these units appear within the editorial feed driving readers to a custom landing page hosted on our site. Educate and entertain readers with the most easily consumed and shared format – native video. These ad units are built within the editorial feed to serve high-quality click-to-play video content in a non-interruptive way. These automatically responsive units can include video and engaging elements with measurable touch points, and are the first thing readers see when they visit our site. As the user scrolls, the ad starts to close so the reader can continue to the content after viewing the ad. Our second available unit, the in-article reveal appears in-line within C&EN articles. Both ads are custom built for desktop, mobile, and tablet experiences. Rich media ads can generate up to 1,000% increase in ad interactions, making engagement rates 6 times higher than static display ads. How do you make an impact with banner ads in an increasingly busy online experience? Rethink and reenergize your next creative campaign with these helpful tips, ideas, and examples from companies like yours.